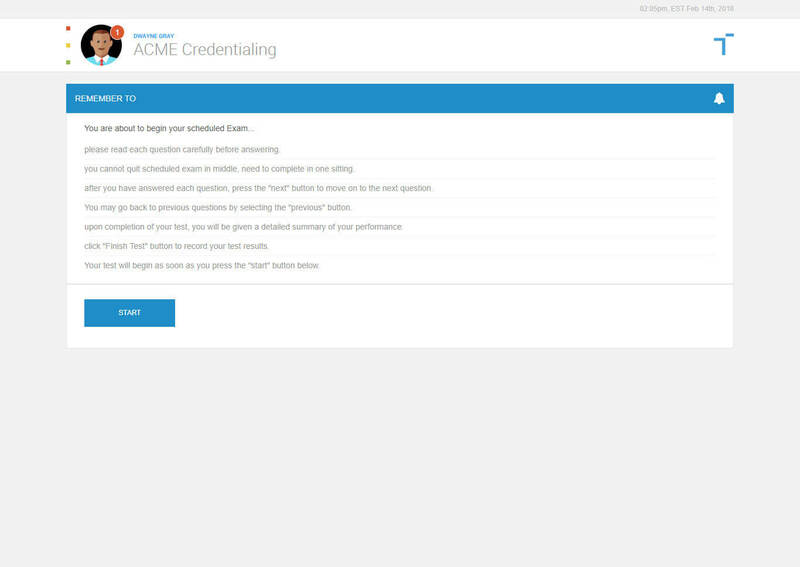 A free platform for credentialing organizations. 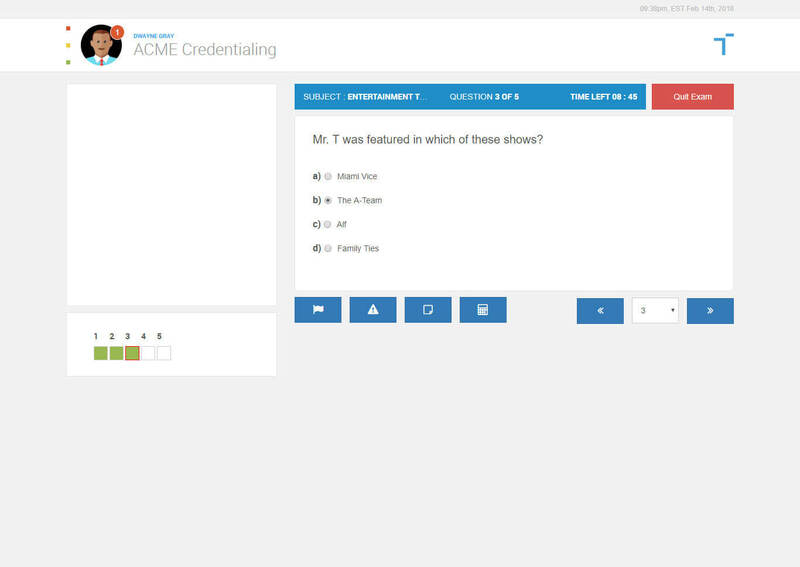 Test Run lets you provide dynamic custom exam prep support for your candidates, while adding a substantial new revenue stream in the process. 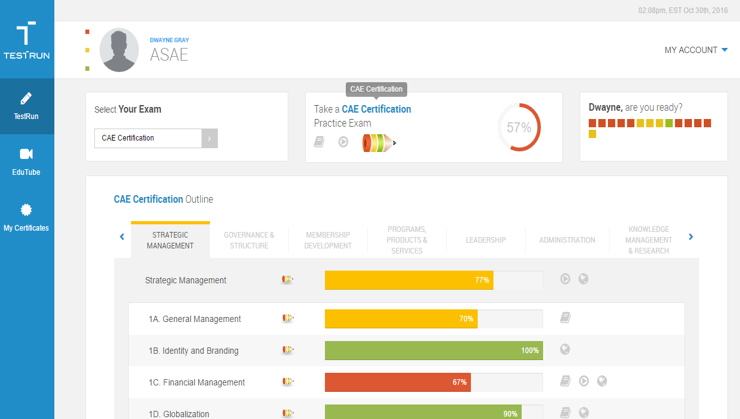 How many certification exams are written each year? 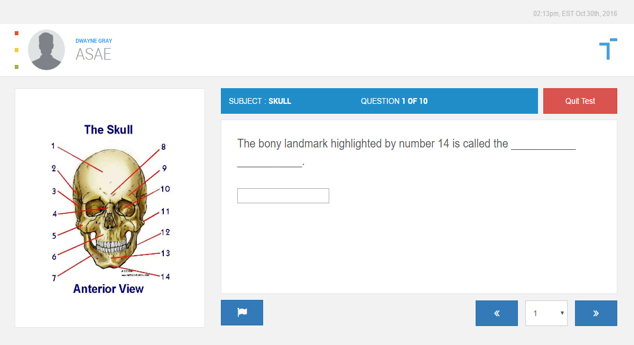 What % of your exam candidates would welcome an exam prep tool? What will your charge your candidates? Test Run’s advanced metrics randomize and dynamically configure practice tests in such a way that ensures your candidates can take as many online practice exams... in as many subjects... as many times as they like... without ever seeing the same test twice. 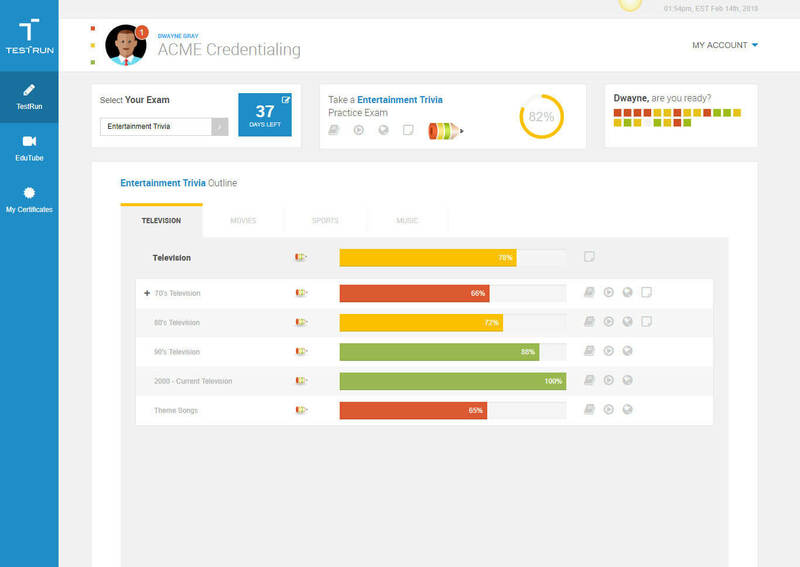 Test Run provides your candidates with a detailed score report for every single practice exam they attempt. 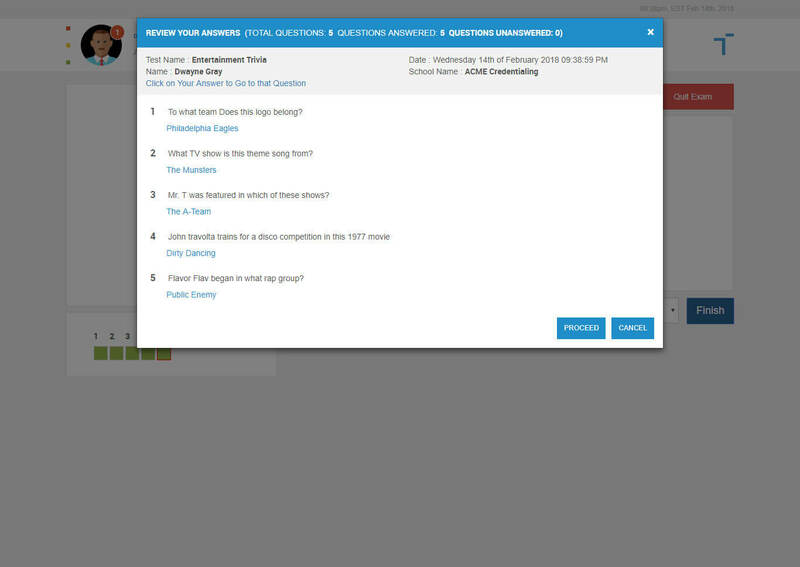 Itemized list of all questions and candidate answers are listed, with incorrect answers highlighted, and rationales provided. 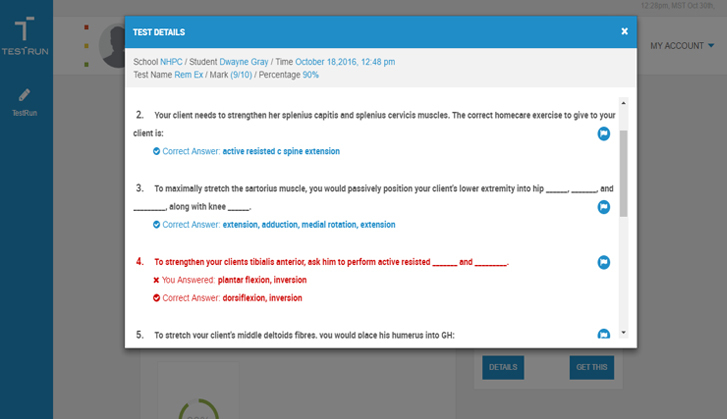 Test Run saves your candidates valuable time by providing them with instant access to your custom study and review materials, as well as any third party content deemed relevant by your organization. "An extremely powerful resource for our candidates... that has increased our revenues by more than 1,000% compared to our previous model"
"Responsive. Flexible. Reliable. That has been my experience with Test Run. 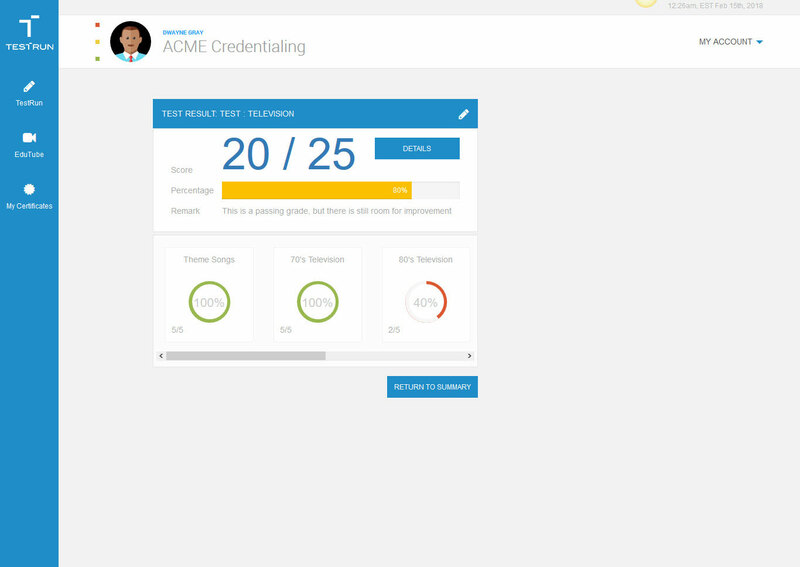 I highly recommend Test Run as a business partner for any Credentialing Organization." "Test Run created a significant new revenue stream for us, with a very useful tool that would have otherwise been a very costly investment." 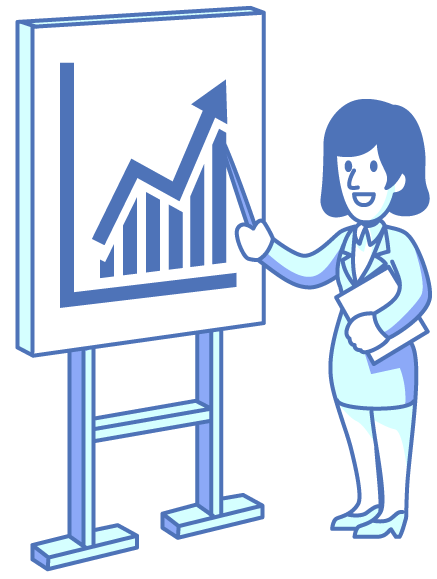 Grow Your Revenue In The Process. Because "Non-profit" is your tax status… and not your business objective, Test Run lets you earn revenue from every single candidate suscription, thereby adding a significant and stable new passive revenue stream in the process. 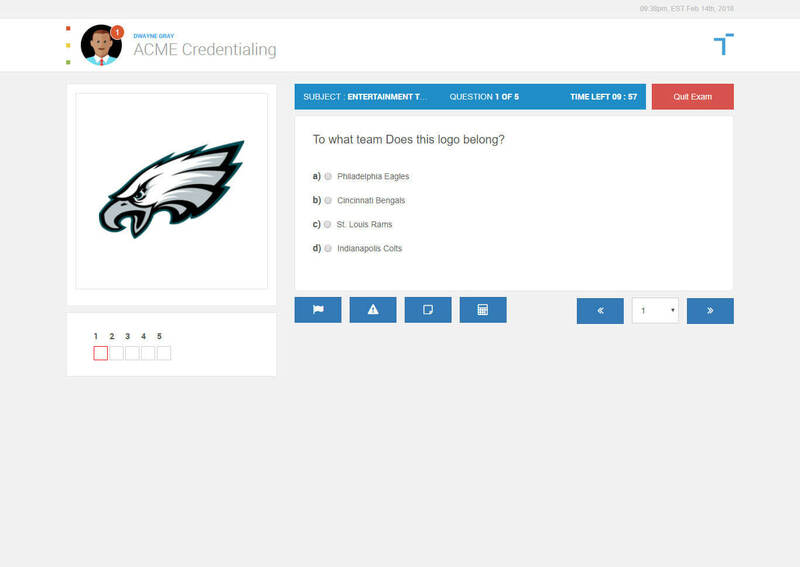 If your organization administers a professional certification or licensure exam, simply contact us and we will setup your custom platform at no cost. Dynamically configured, so candidates test on any subject, and never see the same test twice. Instant Access to learning Resources. 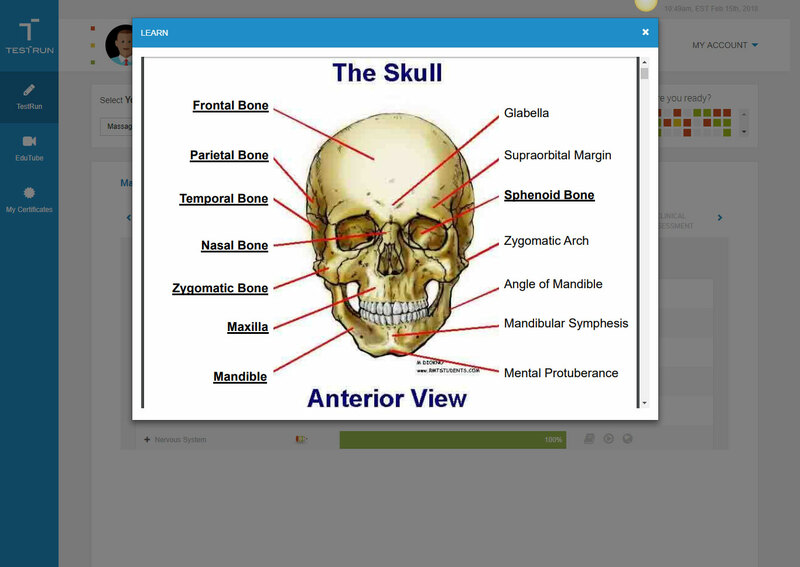 Documents, Embedded Videos, Weblinks, Flashcards. 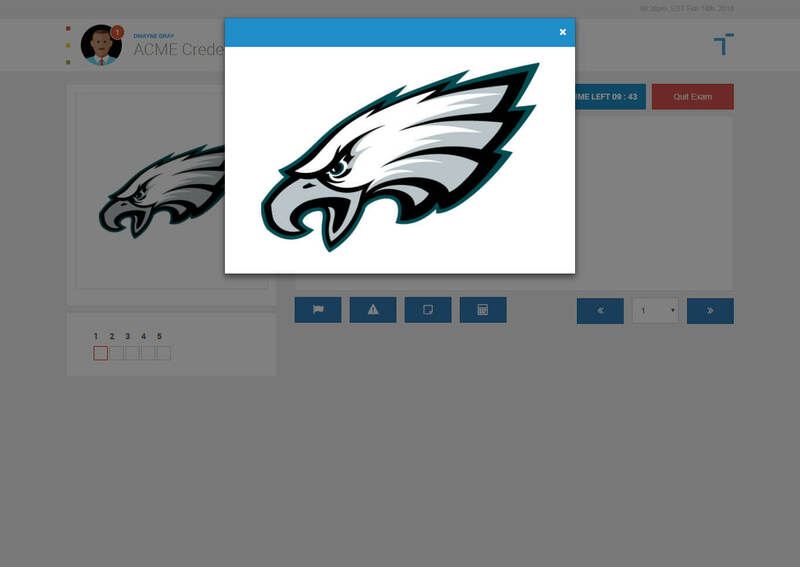 Heavily discounted access to Test Run for your industry schools and their students. 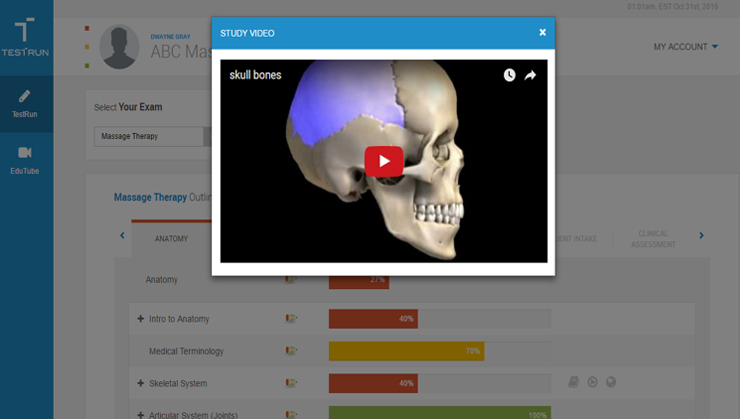 Unlimited practice tests, visual analytics, study and review materials lets students know where they need to improve in preparation for their exams. 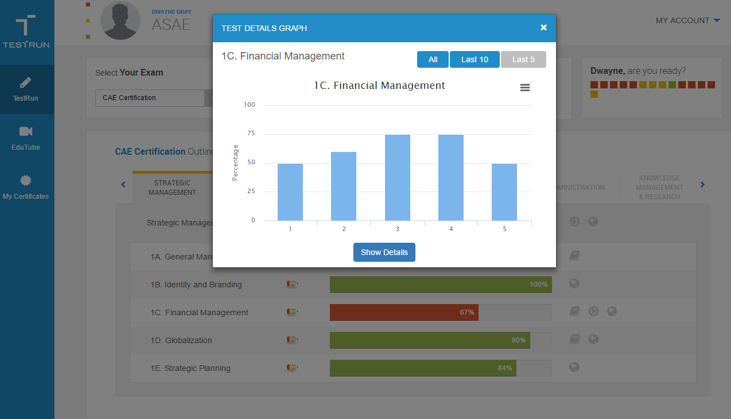 Automated Exam and Assignment scheduling & marking, with dynamic reporting & visual analytics lets them know exactly how well prepared their students are for their exams. Instant, stable, ongoing revenue stream from school participation. Gray Matter Education Inc., (referred to herein as "we") collect information from you when you register on the site, place an order, or fill out an online form. When ordering or registering on the site, as appropriate, you may be asked to enter your name, e-mail address, or credit card information. This site contains links to other websites over which we have no control. We are not responsible for the privacy policies or practices of other websites to which you choose to link from this site. We encourage you to review the privacy policies of those other web sites so you can understand how they collect, use and share your information. We make no representation or warranty concerning the accuracy, availability or lawfulness of any linked site. Testrunonline.com is protected by copyright laws and international copyright treaties, as well as other intellectual property laws and treaties. Testrunonline.com is a subscription based product. Gray Matter Publishing grants you the right to access yourtestrunonline.comaccount online, using your valid and activepersonal subscription of the platform. You must not remove or alter any copyright notices on any and all copies of testrunonline.com. You may not distribute or share your subscription to testrunonline.comto third parties. You may not reverse engineer, decompile, or disassemble testrunonline.com, except and only to the extent that such activity is expressly permitted by applicable law notwithstanding this limitation. You may not rent, lease, or lend testrunonline.com. Gray Matter Publishing Inc. may provide you with support services related to testrunonline.com ("Support Services"). You must comply with all applicable laws regarding use of testrunonline.com. Without prejudice to any other rights, Gray Matter Publishing may terminate this EULA if you fail to comply with the terms and conditions of this EULA. All title, including but not limited to copyrights, in and to testrunonline.com and any copies thereof are owned by Gray Matter Publishing. All title and intellectual property rights in and to the content which may be accessed through use of testrunonline.com is the property of the respective content owner and is protected by applicable copyright or other intellectual property laws and treaties. This EULA grants you no rights to use such content. All rights not expressly granted are reserved by Gray Matter Publishing Inc.
Gray Matter Publishing Inc. expressly disclaims any warranty for testrunonline.com. Testrunonline.com is provided 'As Is' without any express or implied warranty of any kind, including but not limited to any warranties of merchantability, noninfringement, or fitness of a particular purpose. Gray Matter Publishing Inc. does not warrant or assume responsibility for the accuracy or completeness of any information, text, graphics, links or other items contained within testrunonline.com. Gray Matter Publishing Inc. makes no warranties respecting any harm that may be caused by the transmission of a computer virus, worm, time bomb, logic bomb, or other such computer program. Gray Matter Publishing Inc. further expressly disclaims any warranty or representation to Authorized Users or to any third party. In no event shall Gray Matter Publishing Inc. be liable for any damages (including, without limitation, lost profits, business interruption, or lost information) rising out of 'Authorized Users' use of or inability to use testrunonline.com, even if Gray Matter Publishing Inc. has been advised of the possibility of such damages. In no event will Gray Matter Publishing Inc. be liable for loss of data or for indirect, special, incidental, consequential (including lost profit), or other damages based in contract, tort or otherwise. Gray Matter Publishing Inc. shall have no liability with respect to the content of testrunonline.com or any part thereof, including but not limited to errors or omissions contained therein, libel, infringements of rights of publicity, privacy, trademark rights, business interruption, personal injury, loss of privacy, moral rights or the disclosure of confidential information. 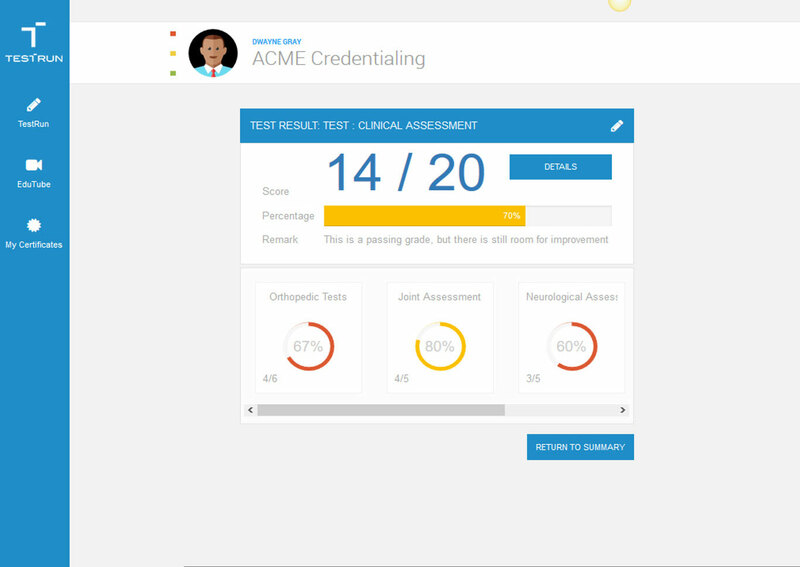 Test Run is the most comprehensive study support solution available for Credentialing Organizations looking to support their exam candidates. The free cloud-based exam prep solution lets credentialing organizations provide the highest level of in-house study support available for their candidates, while adding a new stream of non dues revenue for the organization in the process.